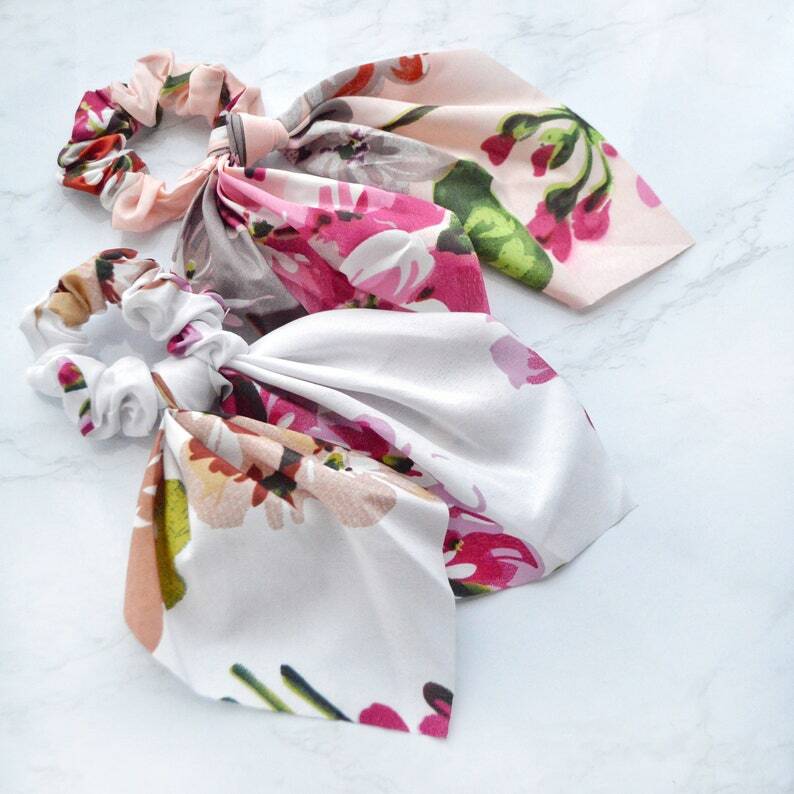 Rayon Fabric Scrunchies with large tie tails. Just as pictured. My daughter and I love these! Please report any problems within the first 2 days of receiving your order. Send us a email and I will work with you to resolve any issues or oversights on our end. all sales are final. Thank you for Shopping Shelby Chic Boutique! Please allow up to 1-2 weeks turnaround from my shop. Once a label has been printed you will receive a email with tracking info where you can track your package. Please allow the USPS time frame for processing and shipment of your order once a label has been generated and your order has "shipped"..
Once your item has been scanned by the USPS system I am no longer responsible for any delivery time, errors or place of delivery from the USPS service. No item can be changed unless stated otherwise in description. Made to order items are CUSTOM and they are final sale. Please email shelbychicboutique@gmail.com within 2 days of receiving your item(s) if there is a problem with your order in order to resolve the issue.